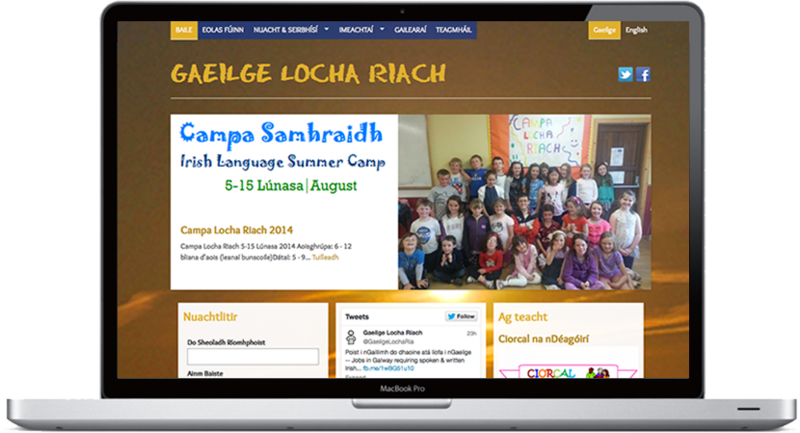 Drupal upgrade of existing static HTML site for Irish language training, translation and promotion agency in Loughrea. This was a fully bilingual site with Irish as the default. We used a combination of the standard Drupal content translation method as well as field translation to achieve a totally translateable site. The site includes galleries and an events calendar as well as an Irish language media feed, mailchimp newsletter signup and social media integration. Bhíomar fíorshásta leis an tseirbhís a fuaireamar ó Compass Digital. Bíonn go leor siar agus aniar i gceist le tógáil suíomh Idirlín, go háirithe nuair atá seancheann ann cheana féin. Bhí go leor foighde ag foireann Compass Digital linn agus ní bheadh drogall ar bith orm iad a mholadh do dhaoine eile.